Hello blog world...I'm back! While I've still been actively reading blogs I have ignored this little baby for a while. Truth be told with our house still for sale, working on a few exciting decorating projects and my 21 month old daughter literally sucking every ounce of energy out of me something had to give. 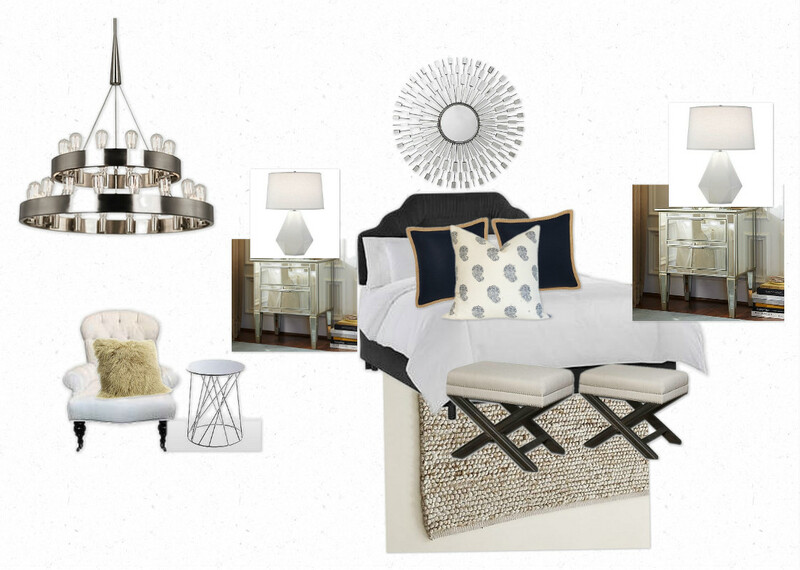 One of the projects I've been working on is a living room, dining room and master bedroom. The master bedroom is one of my favourites as it's always a room that gets left until the end but is so important! I did up a couple design boards for my client and I really like the direction we're going with landing on a mix of the two boards. I'm a huge fan of white bedding. You just can't go wrong. 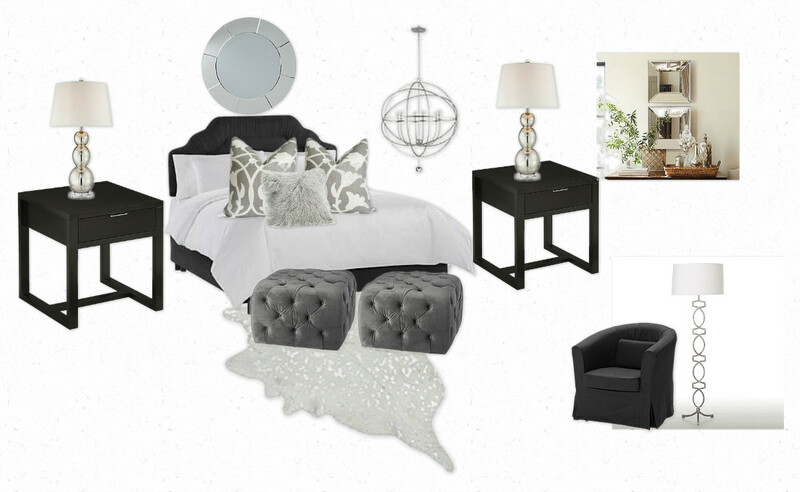 We tried to carefully do a combination of masculine and feminine elements in this room. Love to hear which one is your favourite? One of my favourite elements of this room is the white cowhide rug. Love! Love the second one! The mirrored tables are great and I love the block-print pillow.